Bank of America (NYSE:BAC) today said its Board of Directors authorized a $713 million dividend payment on preferred stock issued to the Treasury Department under TARP, which was launched last year at the peak of the credit crisis. 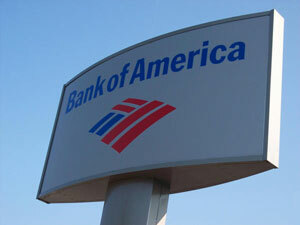 Charlotte, NC-based Bank of America received $25 billion as part of the initial round of TARP investments last fall. It then received an additional $20 billion in January shortly after its controversial acquisition of Merrill Lynch. In return for injecting $45 billion into the bank’s operations, the government received preferred stock and receives quarterly dividends. In a financial release posted on its web site the bank said it will pay $713 million in dividends related to the government’s investment in the company on Nov. 16. This will boost the bank’s total dividend to the government in 2009 to about $2.54 billion. BofA has already paid the government $1.83 billion in TARP dividends through September 30. The co. also approved dividends on two classes on preferred stock issued by Merrill Lynch. Earlier this week, CEO Ken Lewis said the company is “in position to begin to repay the federal government’s TARP investments.” The statement came as he announced his intention to retire at the end of the year. Shares of BofA are down 4 cents, or 0.30 percent, to $16.16 in recent trading.